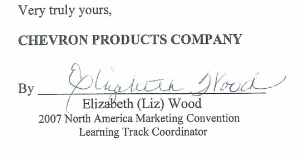 I wan to thank you for being a Learning Session Speaker at the 2007 North America Marketing Convention. 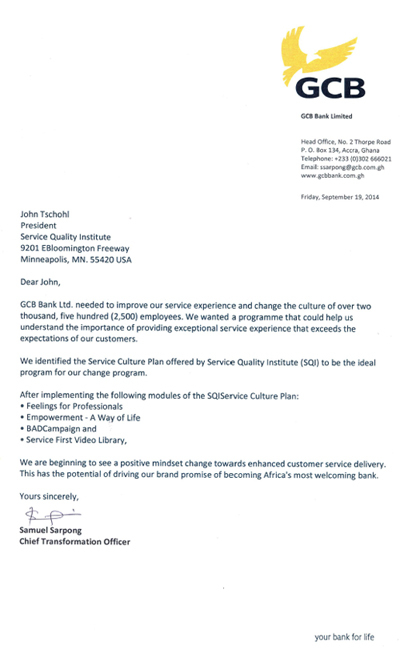 Your presentation Achieving Excellence/Customer Loyalty was definitely one of the highlights of the Learning Sessions. Your interactive style made the session interesting, and your passion to share best practices and examples of great Customer Service made it entertaining and engaging. Your participation definitely helped bring the learning sessions to a higher level of quality. Listed below are some of the comments received from the Chevron employees and marketers who attended your presentation. Again, thanks for your hard work and support, and much success to you in the future. Thank you for taking such a key leadership role at IRTA’s 31st International Convention in Pittsburgh. I was so impressed by your message of the importance of providing top flight customer service in the modern trade and barter industry. I agree with you 110%, we in the modern trade and barter industry are in the service industry and we need to develop programs along the lines that you suggested so as to assure the growth and success of our beloved industry! I definitely want to talk to you in the near future about using you for some specific training programs. You are a terrific guy with a very worthwhile message that anyone in ther service business should listen to and seriously consider adopting into their own companies! Thanks again for all your help – you really made the Pittburgh Convention something special!